Pros - Mainstream sound, excellent battery life, portable. Easy choice for a recommendation. Cons - Jack-of-all-trades, but does not particularly impress in any one regard, whether in terms of sound quality, accessories, or specifications. This review was made possible by 셰에라자드, who set up a loaner tour for interested individuals. I was allowed to use the product freely for a week, and while I was requested to write a review, the subsequent opinions are my own, without any incentive for a positive review. 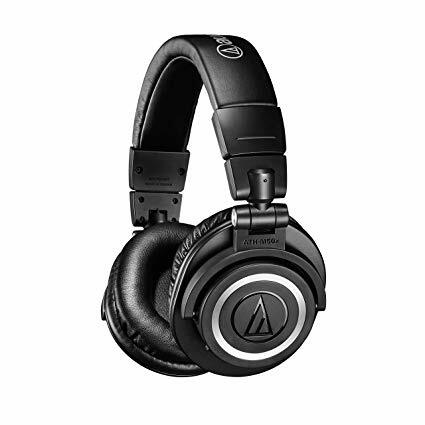 The Audio Technica ATH-M50x is a headphone that needs no introduction. 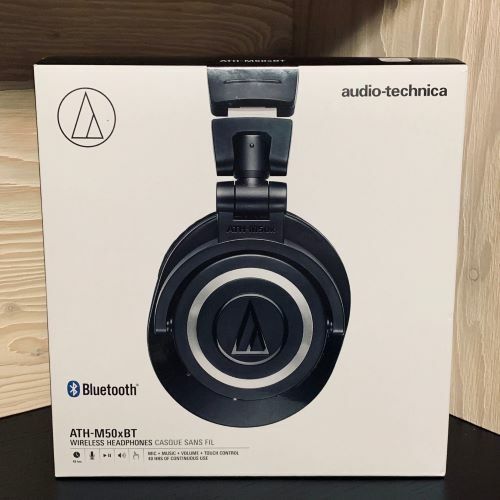 Since its first release as the ATH-M50 in February 2007, Audio Technica has sold nearly 2 million of its flagship studio monitoring headphone to date. 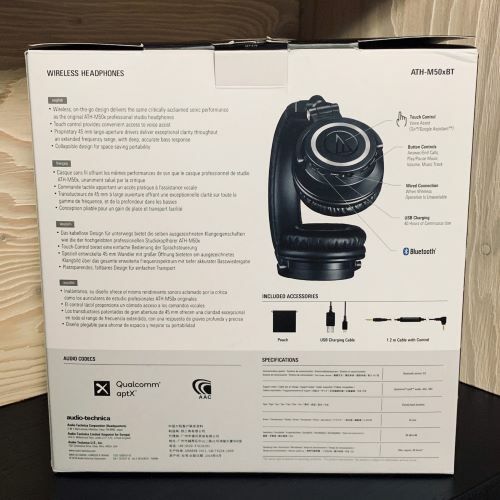 Befitting such a popular headphone, the M50, and later its detachable cable variant, the M50x, has been available in a number of forms to fit the needs and stylistic choices of the consumer, ranging from coiled and linear cable variants to limited edition blue, red, grey, silver, and white versions that contrast the classic all-black color scheme of the original. 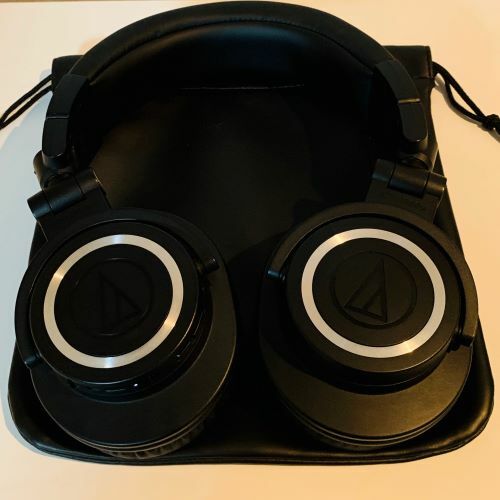 The October 2018 release of the ATH-M50xBT, a wireless, non-noise cancelling version priced at $199, is the latest iteration of the classic headphone line, one that attempts to keep the aging product in line with more recent technological trends. 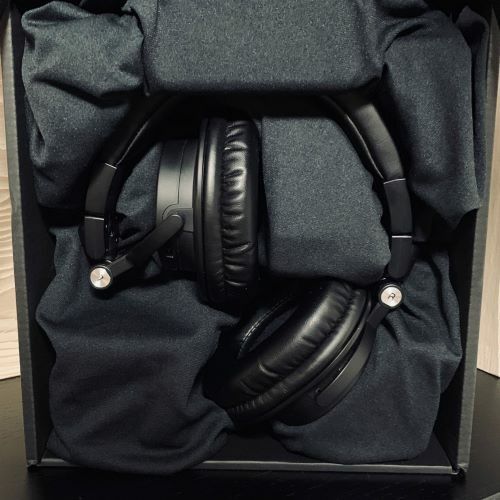 The unboxing experience of the M50xBT is entirely average. 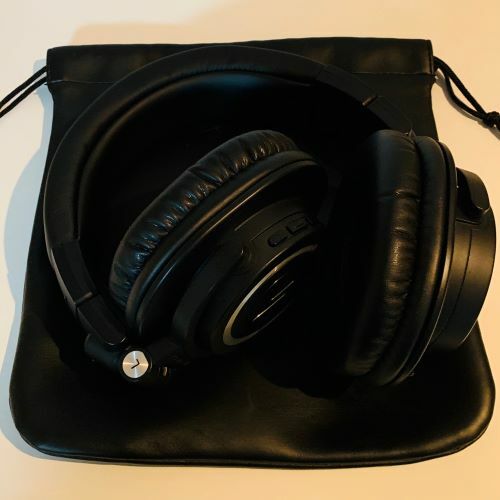 The headphones themselves are held in place in fabric-covered plastic, and also included is a soft pouch, a USB charging cable, and a 1.2m cable with a 3.5mm plug for wired use. 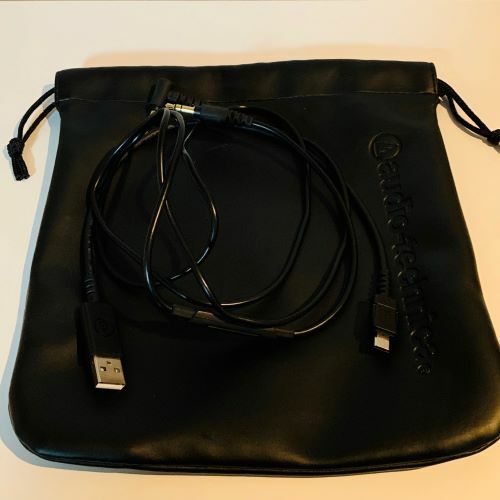 I would have preferred to see a hard case instead of a carrying pouch, and a USB-C charging cable would have been nice in place of the dated Micro USB one, but in my opinion, neither are deal breakers in the bigger scheme of things. This version of the M50x supports Bluetooth 5.0, the most recent version of the Bluetooth standard at the time of its release. It boasts an excellent 40-hour battery life, beating most, if not all, of its competitors’, and in my case, easily lasting through the 1-week loaner period on a single charge. On the other hand, codec support is average, with SBC, AAC, and aptX, but no aptX HD or LDAC support. The M50xBT is a closed back circumaural headphone, and it offers Siri and Google Assistant support via a touch panel on the left earcup, which is nice in a pinch, though personally not more convenient than going through my phone. The left side also has an easily accessible control and volume buttons, a power switch, and jacks for charging and wired use. The build quality on the M50xBT remains the same as it was for its previous iterations. The headphone is mostly plastic with some metal parts on the slider and presumably the headband. The joints and headband feel sturdy, and while I would hesitate to put any of my headphones through avoidable stresses, it also should not break with normal wear and tear. Being collapsible, the M50xBT is also easy to store or transport. The M50xBT is generally comfortable. The earpads and headband on the M50xBT come with a thin-ish but soft and plush foam material. They do get warm with extended use, but I would not say that it is any worse than what one would get with a comparable closed-back headphone. The M50xBT also sits fairly close to the head – on a scale from 1 to 10 on the Yoda index, with 1 being the Ultrasone Edition 8 and 10 the AKG K1000, it gets a solid 3. Moreover, both earcups can rotate 180 degrees vertically and horizontally, which can be convenient either when wearing the headphones around your neck or placing them on a flat surface. Personally, I’d feel fine with these in public, whether walking in the streets, on public transportation, or even at the gym. During the loaner period, listening was done wirelessly either through my iPhone XS Max (Spotify High Quality) or my computer (Spotify High Quality, Foobar2000). Over the past twelve years, I have seen the ATH-M50 series first be underrated, then overrated, and most recently, perhaps become underrated once more. In the late 2000s, the original M50 was recommended to me as a better sounding alternative to Beats, which, while technically true, inherently painted them in a negative light by association. The M50 and later the M50x then became nearly ubiquitous as a budget headphone recommendation, and today, there seems to be some backlash in response to its fame, whether it is due to changes in commonly preferred sound signatures or the less favorable value proposition it offers with the release of newer and more affordable mid-tier headphones. I would summarize the M50xBT sound as having a very mainstream tuning with good, but not exceptional sound quality, possibly indicative of the age of the product. 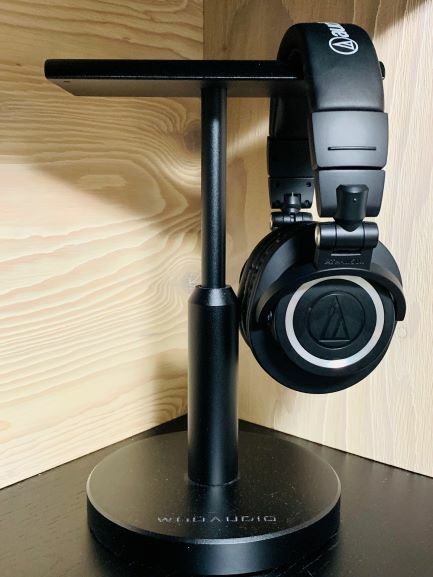 Despite it being a part of Audio Technica’s professional lineup, it deviates significantly from neutral, and neutral-heads would be better off looking elsewhere, including even its lower-priced sibling, the M40x. Bass – The lower frequencies on the M50xBT are clearly emphasized. There is a nice initial impact that lingers, though the bass does not seem particularly bloated. However, while not egregious, there does seem to be a slight bleeding into the mids, and focus is on the mid-bass rather than deep extension into the sub-bass, with a roll off in the lowest frequencies. This lends itself to a punchy bass that is more heard than felt. Mids – The mids on the M50xBT do not seem intentionally recessed, but naturally takes a back seat due to the boosting of the other frequencies. This is particularly noticeable with the lower mids, especially in conjunction with the mid-bass emphasis. The upper mids feel comparatively up-front, leading into the lower treble region. For the most part, I would characterize the M50xBT as sounding “correct”. Highs – Like the bass, the treble on the M50xBT is also emphasized. Sounds are clear and detailed, with a nice treble sparkle added in. However, while I am not personally very bothered by an upper frequency boost, the treble occasionally came across as a bit much, so those sensitive to sibilance might benefit from extra auditioning of the M50xBT to ensure that it is not a problem. 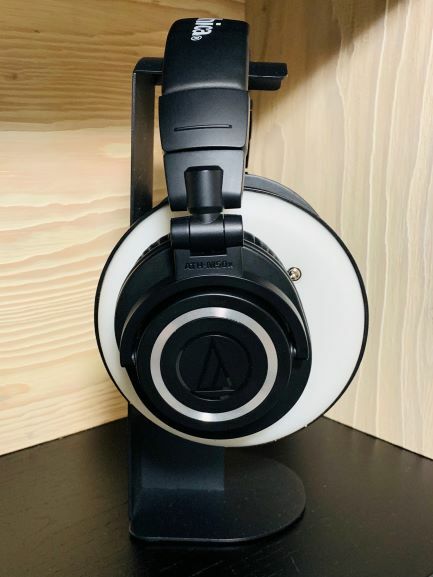 Miscellaneous – Beyond the frequency response of the M50xBT, I would say that the soundstage is slightly smaller than average, which makes sense given its closed-back nature. That said, the sound also does not come across as congested or particularly closed off. Wireless performance of the M50xBT was great, with no cutting off throughout the entire 1-week loaner period even on the busy subway lines in Seoul. Because it does not offer active noise cancelling, I was able to clearly hear my surroundings, which, depending on the use case, could both be a positive and a negative. On the other hand, I did not notice any sound leakage from the M50xBT itself. 3. enjoy the original M50(x). nizket and gr8soundz like this.